Happy St. Patrick’s day to you, our biggest fans! We hope you enjoy the festivities and have a fun yet responsible and safe time. St. Patrick’s, that day where green is prominent everywhere. Lead by a nice drink at the bar…. or a few! This is a day where lame pick up lines may work! Dance, dance, dance like it’s St. Patty’s day! By the end of the day you will be exhausted and project green everywhere! And of course, the next morning surprise! 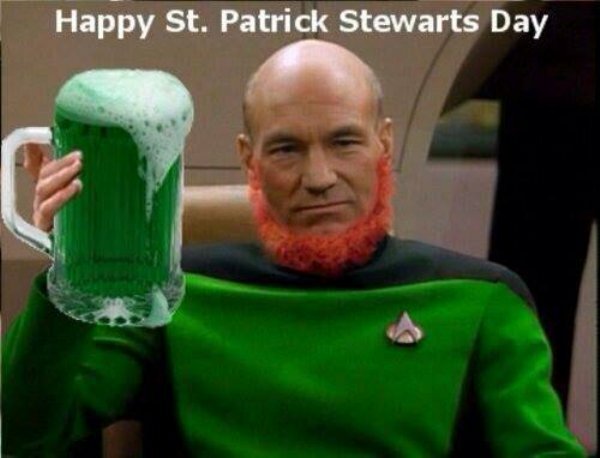 Have a Happy St. Patrick’s day and drink responsible.